Hanson Lau (pictured above) - Vancouver media personality who has been actively involved in the Chinese-Canadian redress campaign since its inception in 1984. Bettie Luke - Chair of the Chinese Expulsion Remembrance Project, who fought to preserve an important part of history and educate a public of Washington State’s dark past going back to 1886 and earlier. Gim Wong - a former Royal Canadian Air Force Officer who faced adverse injustices when applying to enlist in Canada’s military in the Second World War. Larry Kwong - the first hockey player to break the colour barrier in the National Hockey League. 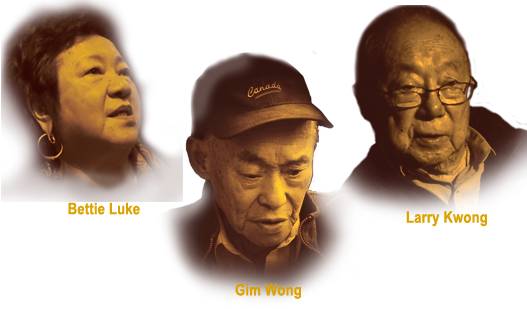 Beginning with the fall of the last Chinese (Qing) dynasty in 1911, to the end of the Second World War, this episode recalls decades of anti-Chinese racism in North America, from Vancouver Island, Angel Island and beyond. Kenda’s journey takes him across Canada and the USA, tracing the experiences of Chinese immigrants and their descendants. Their personal stories document the enormous obstacles they faced before they would become citizens in their own countries of birth.